The sun is finally out and many of us are tempted to take advantage of soaking in all the sunlight to achieve that long-lasting, golden-bronze tan. Even if you are a sunscreen superstar, baking in the sun and exposing yourself to potentially dangerous UV rays, isn’t the only way to do just that. At Complexions, we believe in keeping you safe and healthy while you look your best. That’s why we suggest giving Infinity Sun, the leader in sunless tanning products, a VIP spot in your beauty cabinet. With Infinity Sun you will get that sun-kissed glow you love—no exposure or passport required! 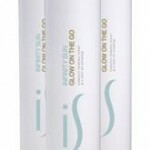 There’s two ways to use this product to safely get your summer glow: (1) visit us for a professional airbrush application where we can do everything for you and/or (2) check out our retail selection for post-salon application maintenance in the salon or at home at our online spa store. Our selection of the line’s products includes four must-have items that will keep you glowing all year long. 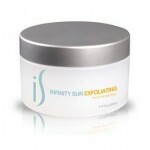 Exfoliation prior to using self-tanners is key to ensuring an even, flawless tone. This gentle, skin-renewing body masque polishes and exfoliates your skin’s surface using natural, non-abrasive pineapple fruit enzyme. This all natural, anti-aging aerosol revitalizes your skin and leaves it sumptuously tan without using harmful propellants or alcohol, so it’s as safe for your skin as it is for the environment! Enriched with essential oils, antioxidants and botanicals, your skin will be left soft, supple and radiant. The solution suits all skin tones and casts the natural appearance of just having come out of the sun with a brown and subtle pink undertone. A super-hydrating serum containing the highest quality antioxidants, botanicals and DHA, this product is designed to keep your skin soft and silky-looking, while extending the lifespan of your natural tan for an additional 2-3 days. This ultra-hydrating serum contains a powerful blend of antioxidants, botanicals, DHA and mica particulates to keep your skin hydrated in the summer heat, without that greasy feeling you get from the average moisturizer. It is ideal for those hoping to keep their skin soft and silky-looking, while adding a subtle touch of shimmering radiance. Plus, it also extends the lifespan of your tan for an additional 2-3 days!